"'Part, fools! Put up your swords. You know not what you do. '"(p.995 lines 66-67) Benvolio is talking to Gregory, Samson, Balthazar, and Abram to get them to stop fighting. Benvolio is telling the servants to stop fighting and to keep peace. 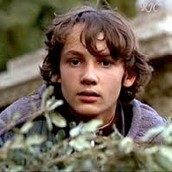 "'I pray thee, good Mercutio, lets retire. 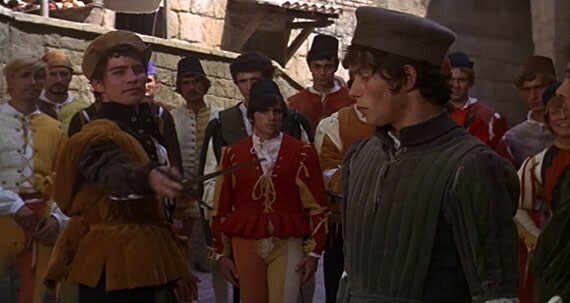 The day is hot, the Capulets abroad, And if we meet we shall not scape a brawl..."'(p. 1044 lines 1-4) Benvolio is talking to Mercutio to try to get him to go home, because Benvolio doesn't want to be caught in a fight due to the amount of Capulets that are out. "'Be ruled by me; forget to think of her. '"(p 1000 lines 240-241) Benvolio is talking to romeo to help ease his pain in the war from within over Roseline. "'For all the same, I'll hide me hereabout. His looks I fear, and his intents I doubt."' (p 1093 lines 44-46). Balthazar is talking to himself about what he has promised and what he wants to do to protect his master because he doubts what he said over what he thinks he will do.